LOTS of new things for me in this post - not the least of which is using RED as a background! To be honest, I rarely use red at all. I think it's because when I first started quilting (18 years ago?!) the magazines that I read (because there was only magazines to read!) were always cautioning about red fabric bleeding/running and ruining a quilt. The debate about pre-washing fabrics was strong and basically I decided to avoid the whole thing buy avoiding red. Times have changed! 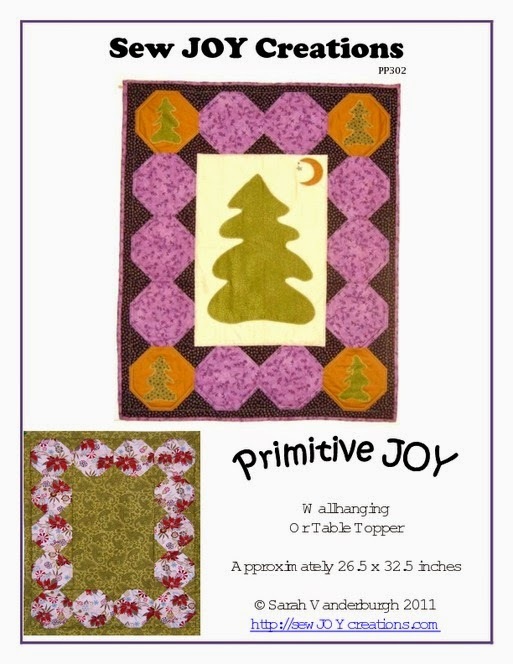 I went to the fabric store to buy red fabric explicitly to make a new version of my of my Primitive JOY wallhanging. This version currently hangs in my husband's music space to cover the window on the front door. Needless to say it doesn't add anything to the vibe of his space! Since I have been working on making him another quilt for his space, I thought I should update the door quilt too. Canada Day inspired me - I could make a red and white quilt and it would work in this space for more than one season! I found the charm pack for Winter Wonderland by Anne at Bunnyhill. Too cute. And what a nice red! A happy red! 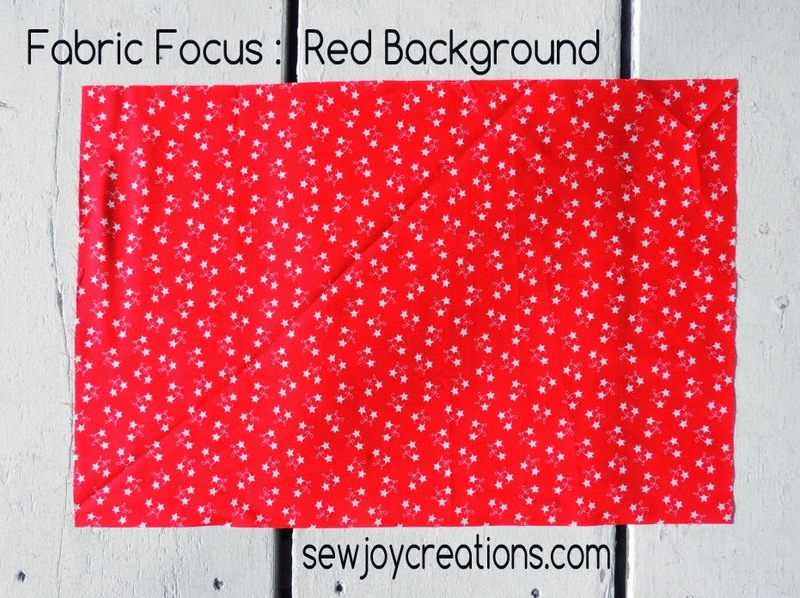 (I had found another red in the store but the longer I chatted with the owner at CindyBee's, the more the fabric went tomato red looking - not what I wanted). 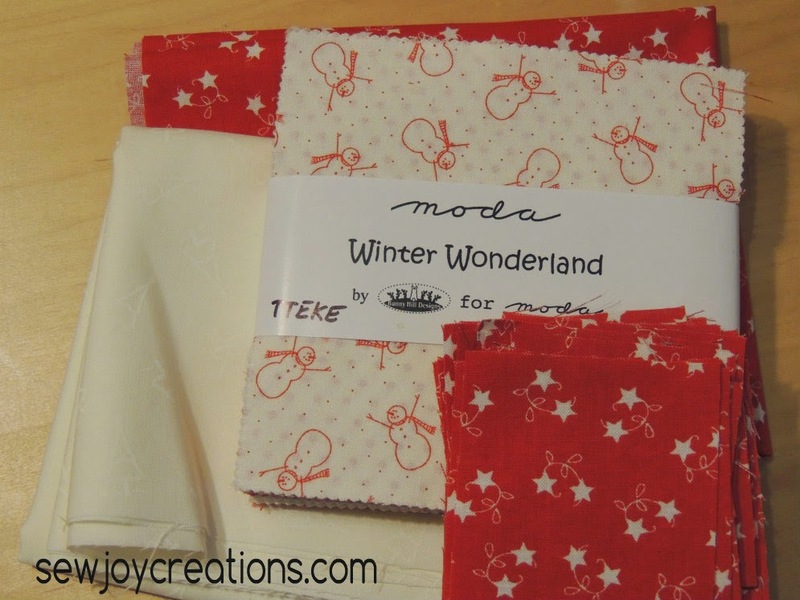 Cindy went into her office and brought out the yardage for Winter Wonderland and I was sold! The next new thing for me is joining Pinterest. Yes, I finally did it! But I was wondering if you could help me make a board about quilts that use RED as a background. If you can think of another way to send me your ideas, please let me know in the comments. My RED background so far! Thanks for helping me build my RED Background Quilts board! 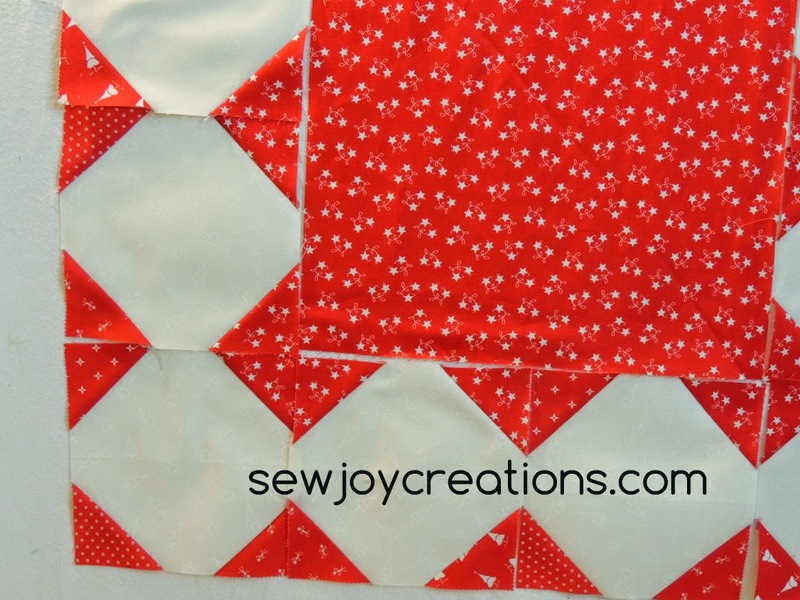 I love that adorable red and white quilt in progress. 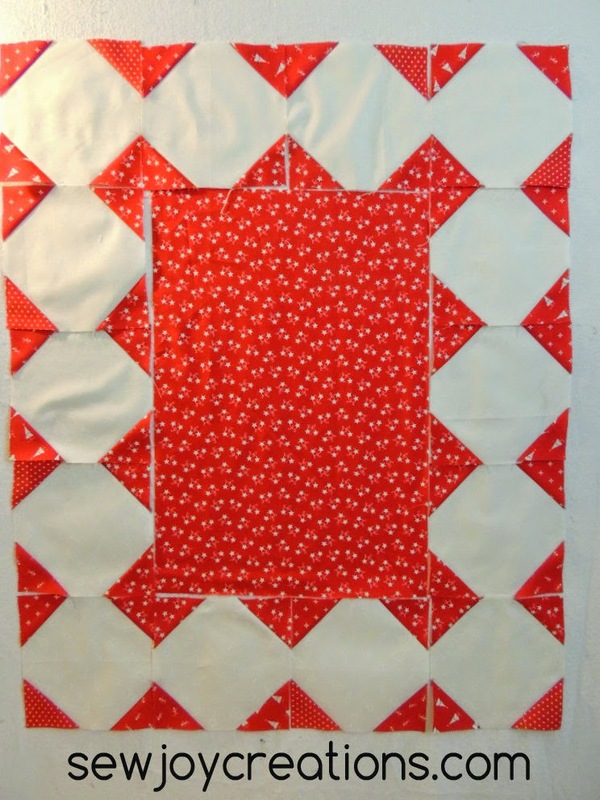 I love the look of red and white quilts bu I have not made one. No quilts with a red background. I do have it on my to do list though. Pinterest can be addictive but also a great source of inspiration. Have fun. I don't think I've ever used red as a background. Definitely don't have much of it in my stash but you know my disinterest in red has been around for years.